As usual, Microsoft offers the users of its products frequent updates that become necessary to get an optimum performance out of their applications. That is the case of Office 2000 SR-1. 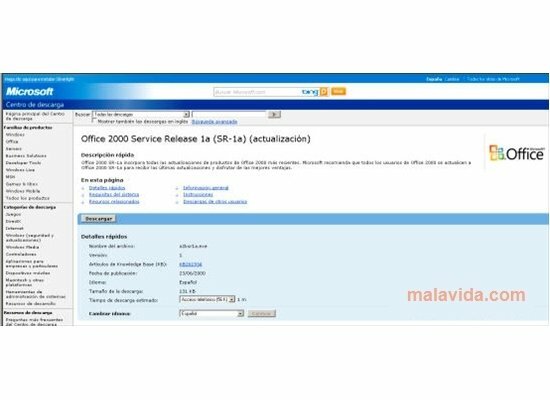 Office 2000 SR-1 is a Service Release that compiles a good number of updates related with Office 2000 and, also, includes corrections to various errors they have been found. Thus, they improve the system's security and performance. Likewise, in Office 2000 SR-1a we can find this same update and the utility to repair the Office 2000 SR-1/Windows 2000 Registry. - Improvements included in the different components of Office 2000: Word, Outlook, Access, Excel, PowerPoint, FrontPage and Publisher. - Components necessary at system level. 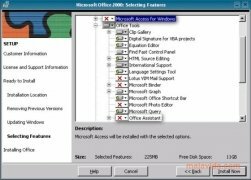 Microsoft advises users to install this pack to make the most of all the things that Office 2000 has to offer, so don't miss out on the chance to download it. This download requires an Internet connection to finish the installation and that you have Office 2000 installed.